So, the Mommy Awards are going to sleep for a season - unless someone out there would like to join in and come up with some weekly questions. I think I could continue to provide the "artwork" since it is all on my computer, but that would be it for right now. So, anyone interested in leading some Mommy discussions??? 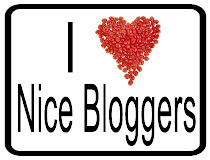 If you are up to it, please let me know and I will add you to the blog. Let us not end things here, yet, I have one more award to present. I read over the grueling accounts left by Julie and Tia and the winner was the practically cut off hand of Julie's husband - a word of advice to us all - KNOW WHERE YOUR NEAREST HOSPITAL IS LOCATED!!! And yes, Utah County can be VERY confusing to get around in - what a way to learn. Thanks for playing everyone -it has been so fun for me to read your stories. Jenny, I have loved participating and reading everyones stories. Don't worry, We all understand, I will be a faithful reader when you start back up! Cheers!